Yvonne Smith speaking at New Para Con in Houston, TX. Smith therefore began researching the UFO phenomenon in the late 1980s. 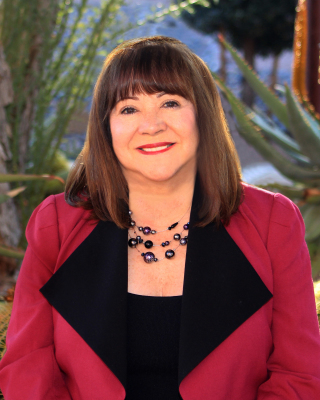 After 2 years of studies and 1000 hours of internship at California Hypnosis Motivation Institute, the only accredited hypnosis college in the United States, she received her hypnotherapy certification in 1990. Specializing in cases of post traumatic stress disorder, she uses her hypnotherapy skills to assist such victims to work through their anxiety, with many of her subjects referred to her by physicians and psychiatrists who believe Smith's expertise can benefit their patients. In fact, many such patients are themselves doctors, university professors, military, engineers, lawyers, domestic and foreign pilots other professionals and many non-professionals, sometimes flying from other countries to meet with Smith in Los Angeles. Because Smith observed that many of the PTSD cases being referred to her involved subjects describing similar patterns of UFO abduction encounters, in 1992 she founded Close Encounters Resource Organization (CERO) as a monthly-meeting support group as a resource and safe-haven for experiencers of alien abductions or close encounters. Members continue to meet monthly. In 2013 Smith founded CERO International, whose mission is to “Support, Educate and Investigate” and to recognize and preserve “Abductees Civil Rights”, as an exciting new open-to-the-public branch of the "local" Southern California nature of its private CERO Support Group. CERO International expands nationally and internationally, and provides information and cutting-edge world wide UFO presentations and news. Its inaugural meeting in 2013 presented "Fire in the Sky" Travis Walton with his fellow logger-witnesses, Steve Pierce and John Goulette in a first time ever “group” presentation of their 1975 multiple-witness abduction event.. In addition to being a Hypnotherapist "in demand" since 1991, Yvonne has traveled extensively, presenting lectures in the United States at M.I.T. and several other universities and many American "UFO" conferences. The Roswell International UFO Museum annually invites Yvonne to present multiple lectures, be a panel member and moderator of their investigator panel. She has also lectured and conducted many standing-room-only and record breaking experiencer sessions as a repeat guest for the International UFO Congress in Nevada, U.S.A., and has also lectured for several years at international conferences from South America to Europe. As the foremost female hypnotherapist in this field, in the 1990s, Yvonne co-lectured on tour with hypnotherapy colleagues, the late Dr. John Mack of Harvard and pioneer Budd Hopkins, and also David Jacobs, PhD. of Temple University. Yvonne has made hundreds of television and radio appearances. ABC News selected Yvonne to respond in a televised news special to Stephen Hawking's negative depiction of aliens. Comfortable in front of cameras, her American television appearances have included programs such as The History, A&E, Discovery, and Biography channels, The Montel Williams Show, Intruders, MSNBC, Encounters, Sightings, Joan Rivers, Rosanne Barr and The Leeza Show. Foreign t.v. projects have included Telemundo T.V., and Jaime Maussan Productions, Germany T.V., Australian, Canadian, and Italian television for broadcast to multiple countries. Having her living room turned into a television "studio" for many hours has been a common occurrence, and she is frequently a consultant to producers, directors and actors for movies and television programs in the works. Yvonne has also been interviewed as a frequent radio program guest by such well known radio hosts as Coast to Coast with George Noory, Art Bell, Paul Harvey, Jerry Pippin, Dr. David Viscott, Joe Montaldo, , the Sweeps Fox "Radio Ireland" show, England's "The Unexplained" and many other hosts who have broadcast Yvonne's interviews to over to over 54 countries. Interviews of Yvonne have also been published in both United States and foreign publications, including the Nexus international publication. Smith with Travis Walton, were guests of a historic Coast to Coast 2012 broadcast which also included as guests, for their first their time in 35 years "on air" , two of Walton's fellow workers who witnessed his abduction, only to then face murder charges. Coast2Coast expanded its traditional 3 hour format to 4 hours for this special presentation. In addition to her many radio and TV interviews and participation, Yvonne with her CERO group, was asked by Disney's Michael Eisner to participate in a Disney project involving release of their movie, "Alien Encounters" (1995). CHOSEN: Recollections of UFO Abductions Through Hypnotherapy which exposes, with dramatic regressive hypnotherapy transcripts, the hidden memory trauma reality suffered by abductees. Coronado: The President, The Secret Service and Alien Abduction conveys the true story of the incredible 1994 mass abduction in San Diego which occurred simultaneously with a UFO Conference and the Secret Service’s preparation for President Clinton’s arrival. Smith is currently working to organize training sessions for established therapists, in order to collaborate and offer support to individuals who have experienced contact with Alien Beings. Her goal is to establish a qualified Abduction Therapist in all 50 states. Yvonne Smith can be reached by email at yvonne4ptsd@gmail.com.